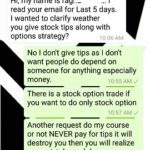 Read to know why taking tips and doing speculative trading can lead to huge losses in trading. It is better to stop taking advisory service and research. 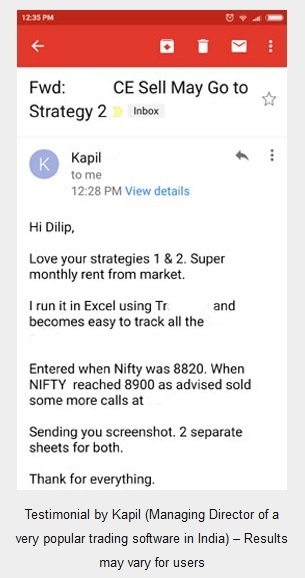 I have written a lot of times why you should stop doing speculative trading and also never take tips to do trading. When I say this I do this myself and have clearly written in all pages in my site that I do not give tips and will never ever give tips. In fact people are willing to pay me for tips every month, but I refuse. If I am against something I will never follow it myself just to make money. 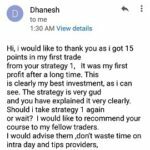 Sorry but this site was opened with teaching in mind and I take a very small fees to make you a better trader and give you well researched strategies that work over a long period. I have to take a fees as it has taken a lot of money and time to research the strategies, and to give you my time. I hope you understand the site takes 5-8 hours a day, and like you my time is not free. 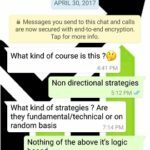 A lot of people ask me this question – when you are trading yourself why you are not giving these strategies for free. The above is my answer. It takes a lot of my time and like you my time is not free. The same question goes to people who think why there is a charge? Why don’t you do your job for free? After all it only takes your time. I agree if the site never took anytime then I would make my course free. But if you give something for free people would not give any value to it. Imagine getting a car for free as a gift and on the first ride it gets a big scratch. How would you feel? Well not so bad as it was a free car anyway. But now imagine you bought a new car for a few lakhs and it gets a big scratch. How would you feel? Very bad. You will straight away take it to the nearest service centre and get it repaired. This is the difference between free and paid. That’s the reason I have to keep a fess. I have already discussed with you about my trading. 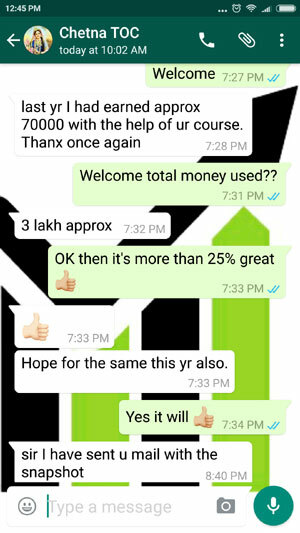 But today I analyzed it in detail and found I have lost Rs.264767+10000 advisory company. Total amount of Rs.2,73,767. 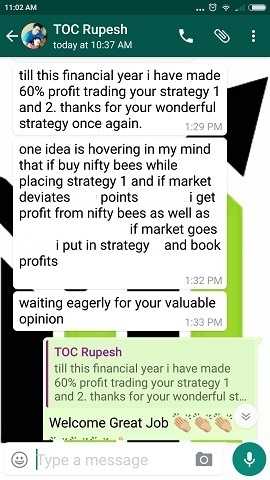 I have shared my bitter experience with some of my well wishers and they advised me not to do any trade in future. They told if I do not listen them I will be drowned deeper and deeper. Still I have a great hope on you. Because who is in a drowning situation, a straw is also helpful to him. I am very systematic. I have recorded all my transaction since the inception of my trading. Due to which I could analyze the losses on details. I swear the attachment is pure. 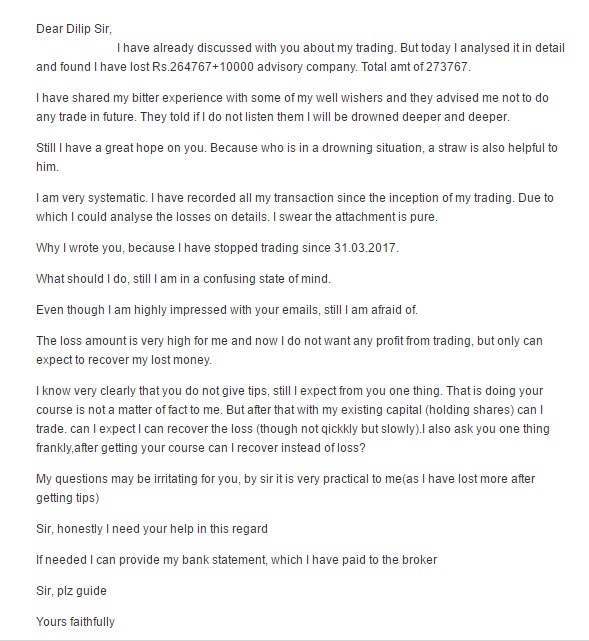 Why I wrote you, because I have stopped trading since 31.03.2017. What should I do, still I am in a confusing state of mind? Even though I am highly impressed with your emails, still I am afraid of. 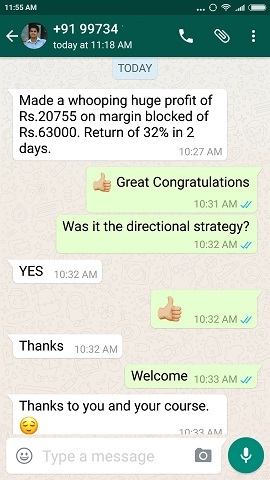 The loss amount is very high for me and now I do not want any profit from trading, but only can expect to recover my lost money. I know very clearly that you do not give tips, still I expect from you one thing. That is doing your course is not a matter of fact to me. But after that with my existing capital (holding shares) can I trade. can I expect I can recover the loss (though not quickly but slowly).I also ask you one thing frankly, after getting your course can I recover instead of loss? My questions may be irritating for you, by sir it is very practical to me (as I have lost more after getting tips). Sir, honestly I need your help in this regard. If needed I can provide my bank statement, which I have paid to the broker. What you did was either tips or speculations – both wrong that’s why you lost. Reason your loss, do not get dismayed by it. My course is doing good because it has solid reasoning of hedging behind it. You lost because you were doing naked trading – This is where the problem is. Naked trading is winner takes all and losers gives all. 50% of the time you are winner rest loser so no money. Hedging is winner takes less, but losers give very small. Stop taking tips or advisory service. You may suffer huge losses. You cannot become rich by taking tips. Research well yourself to become a better trader.